Type your Origin: Use GPS location? If people aren’t moving to Denver, they are definitely visiting and spending money as recent tourism statistics reflect. In 2017, Denver set a new record for number of visitors with $31 million people visiting the Mile High City. It marked the 12th straight year of growth. Additionally, Denver saw tourist-related revenue top $6.5 billion, a 5 percent increase over 2016. If you’re planning a visit to Denver or need a special site for a family reunion or celebration, or just a special weekend getaway, consider the Airbnb properties listed below. These are just a few unique listings that feature outstanding views, incredible kitchens, proximity to nature and interesting architecture. This 4 bedroom, 4 bathroom cabin in Morrison sleeps 10, and is a mere 15-minute drive to Red Rocks Amphitheater and 35-minute drive to downtown Denver. You can rent the whole cabin or just a private room at this property, which has an indoor fireplace, a pool, hot tub and a pond. Paddleboards available to rent. The family friendly 8-acre property has plenty of open space for hiking and offers a peaceful retreat for business travelers as well as solo adventurers, couples, families and groups of friends. Prices start at just $400 per night for 2 guests; additional guests are $50 each. This 3,000 square foot, 5 bedroom, 3.5 bathroom custom shipping container home has 7 beds and can accommodate up to 11 guests, starting at $650 per night. The great room has 25-foot ceilings and the custom, open-concept kitchen boasts an industrial-sized double oven, 6-burner stove and plenty of counter space. The adjacent dining room has a sliding glass wall that opens to a backyard fire pit, grill, patio and grassy yard. The master bedroom opens up to a private balcony, and one of the two living areas has a screen projector. The home sits on a half acre, yet its central location is near Union Station and is within walking distance of shops, restaurants and parks. It features a quick drive to downtown, the mountains and the airport. If you need to accommodate a crowd at a bargain rate, this 3,800 square foot Denver loft with 360-degree views is for you. 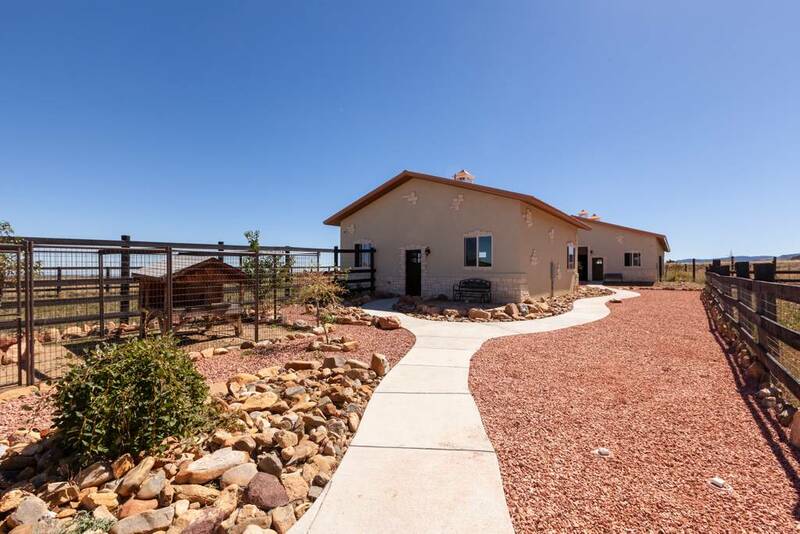 With 3 bedrooms, 3 bathrooms, and 7 beds, this professionally managed property sleeps up to 16 guests starting at $400+ a night with a minimum stay of just one night. 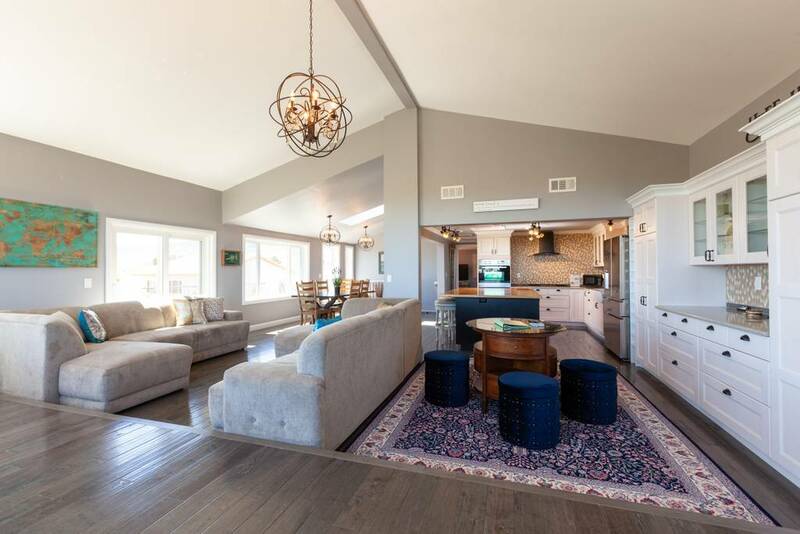 The new, modern, upscale home has an open floor plan and spacious living areas, and is blocks from the 16th Street Mall, the state capitol building, and downtown dining and nightlife. If you like to cook or entertain, you’ll appreciate the expansive kitchen with granite countertops, 6-burner gas stove, two ovens, espresso center, wine chiller and two dining tables. Earth-toned decor and finished ceilings give this loft a warm feel. For an additional fee, you’ll gain access to the rooftop patio, where you’ll enjoy a fireplace, two televisions, a bar and grill, and views of downtown. The first-floor entertainment center (also at extra cost) has a bar, arcade, pool table, two televisions, projector screen and indoor golf simulator. Concierge services are available if you’d like a private chef, in-house massage, transportation, ski passes, luxury car rental and more. Within a mile of this home, you can enjoy river kayaking, art galleries, theater, live music, microbreweries, restaurants and shops. Prepare to be charmed by the exposed brickwork and quirky decor of this lovely historic home that once sheltered horses in the late 1800s. It's been featured in Architectural Digest online as Colorado's most unique and beautiful Airbnb property. It sleeps two comfortably in a queen-size bed, but another guest can sleep on the leather futon in the living room (linens provided). Privately tucked in the back garden of a home in Denver's oldest neighborhood, Curtis Park, this residence is 1/2 block to the light-rail station and is near to B-Cycle (public bikes). Walk to local craft breweries and restaurants on Welton and Larimer. Enjoy easy access to Denver’s hip RiNo neighborhood and its eclectic art scene or head over the 16th Street Mall or LoDo. It’s within reach from this amazing carriage house. After two years of renovation, this truly unique labor of love is complete. Guest can now enjoy this huge, 6 bedroom, 7 bath historical church renovation where gorgeous eclectic design meets modern comfort. Tastefully decorated and situated in the historic Whittier neighborhood, this converted 100-year-old, mission-style church is ideal for groups or families, and centrally-located. Stay in one of the region's most exclusive, spacious and artistically-designed “homes” in the Mile High City. Meticulously renovated in 2017, the space retains the charm and design elements of the original structure while taking on a whole new vibe. Boasting six private ensuites (two upstairs, four downstairs, each uniquely-themed) and a sprawling main floor with designer kitchen, the space is perfect for large groups. The magic doesn't stop there: upstairs, you'll find a 550 square foot loft lounge--perfect for breakout gatherings, or just hanging out. The outdoor space is perfect for entertaining, replete with in-line fire pit and custom seating. Downstairs you’ll find a vintage rec room, furnished in classic mid-century modern/atomic furniture and featuring a full wet bar. Throughout, you'll be delighted by the eclectic style, unique art, and bohemian and Middle Eastern-inspired decor. The space is purposely-built for guest enjoyment and full of thoughtful details including an iPad-controlled home automation system that integrates lighting, audio and security throughout the property. 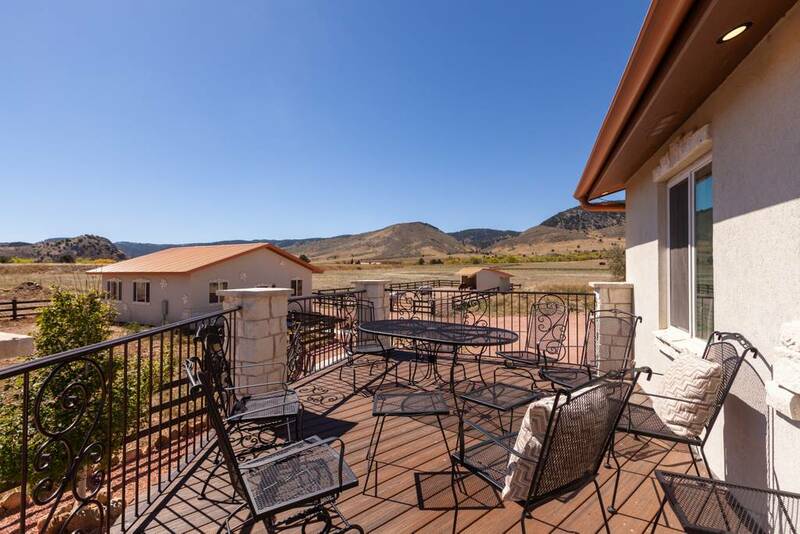 Looking for great views of the Golden foothills and critters on the premises? This 4 bedroom, 3 ½ bath is big, beautiful, and listed at only $350/night. Not only will guests have an impeccable house to enjoy but you will also get to interact with the animals that live on the property. Bindi and Rooney the red kangaroos love their milk in the morning and Zayn the zonkey loves being scratched. Our "zookeepers" will help the guests learn about our unique animals and answer any questions. The house is fully equipped with a beautiful kitchen, a fireplace in the master bedroom and many more luxurious amenities. There is a home theater on the second floor that the guests are encouraged to use. 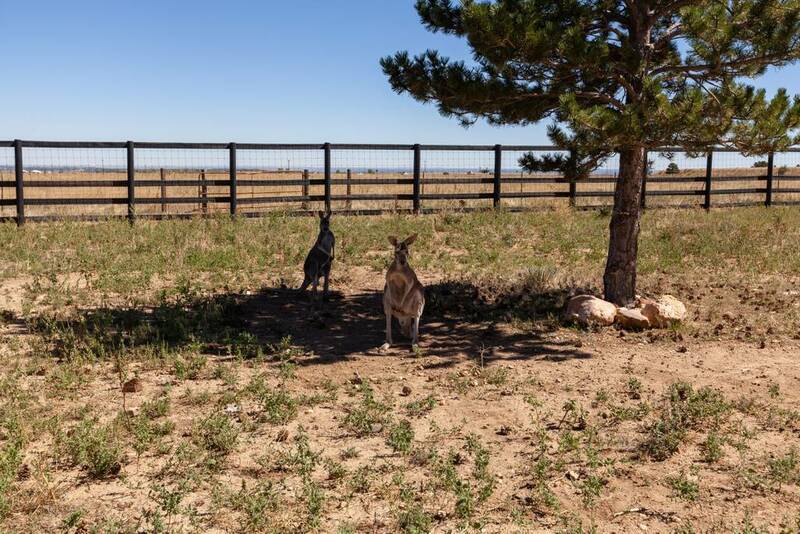 The house and the barns are situated on 14 acres of land in beautiful Golden, with views of Table Mountain, Denver, the Rocky Mountains, and the Flatirons of Boulder. There are many hiking and biking trails in this area you can explore during your stay. Guests will be renting the main part of the house. The animal caretakers live in an apartment attached to the main house. The guest house is completely private with two dedicated entrances. The animal caretakers have a separate entrance and you hardly know that there is another part of the house. The caretakers live on the property and will be available to help the guests with anything that they might require during their stay. Certain times of the day will be set aside for guest interactions with the animals, however, the owners are flexible and can accommodate your schedule. Don’t be afraid to ask! The next time you visit Denver, skip the cookie-cutter lodgings and enjoy one of these unique properties for an unforgettable vacation or business trip. All homes featured here are available through Airbnb. To expand your search even further, consider Alltherooms.com, which lists not only the Airbnb properties in the area but also VRBO properties, hotels and B&Bs to give you the full picture of Denver’s available short-term rentals. Built on the Boston Logic platform. Copyright © 2017 Usaj Realty. All rights reserved.